The ugly duckling of a chiles. 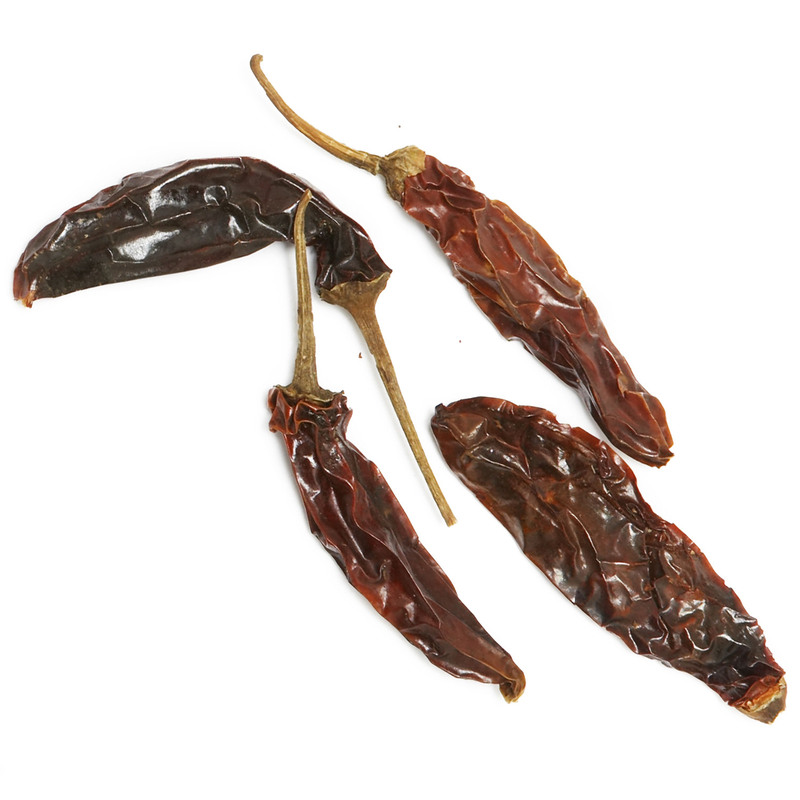 Wrinkled, covered in seeds with an unappetizing color, the pasado chile tastes of roasted green chiles. A rare treat from northern Mexico and the American Southwest. Pasados are fresh green chiles that are roasted, peeled, seeded and then dried. 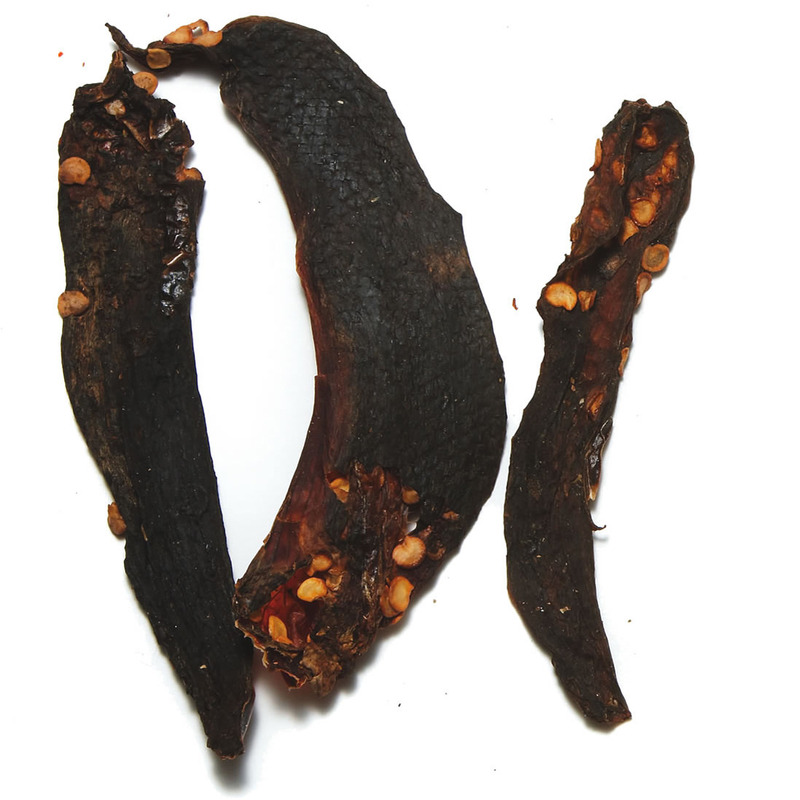 Simply rehydrate them in warm water for 20 minutes and cut in strips before using them. Once reconstituted in water, the pasado chile becomes more delicious and green. Add pasado chile to black bean soup or huevos rancheros. Not too hot, the pasado chile is a welcomed addition to guacamole or enchiladas.